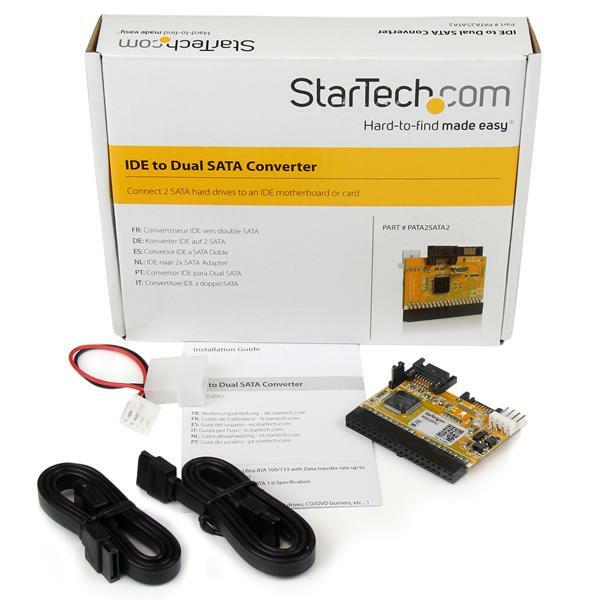 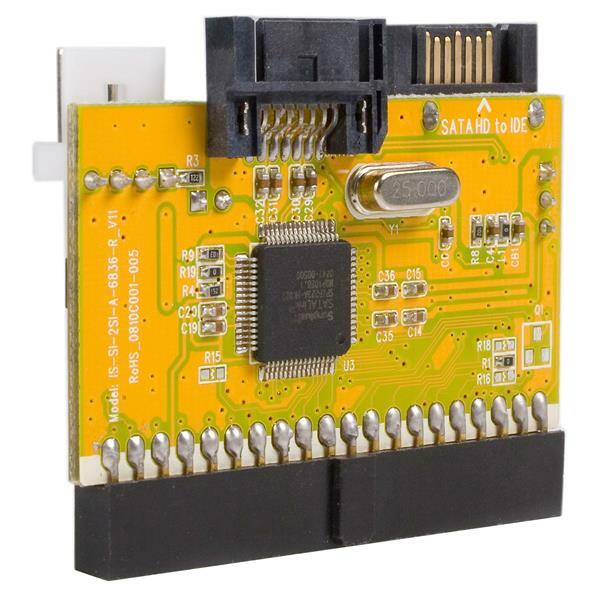 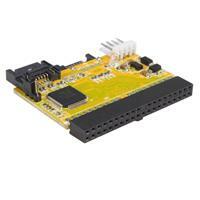 This IDE to SATA Drive Adapter Kit offers a simple way to install Serial ATA hard drives using an available IDE port - a cost-effective solution for using newer SATA drives on a legacy computer or a computer with all SATA connections already in use. 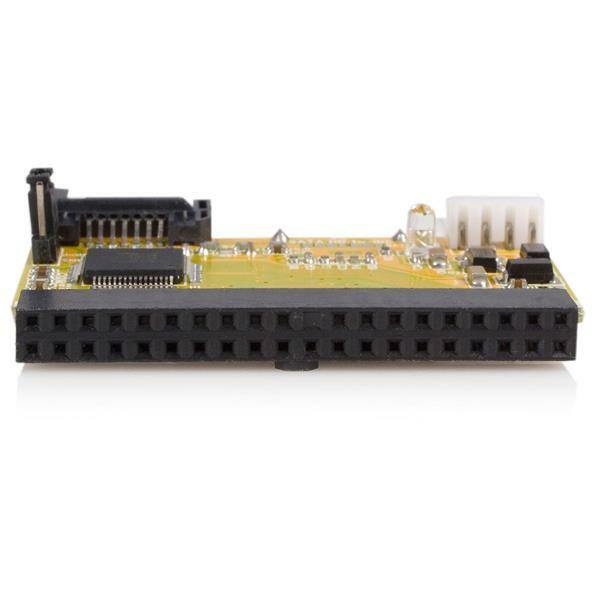 *PLEASE NOTE: To connect to a power source, SATA hard drives require SATA power. If your computer’s power supply does not have a SATA power connection, the SATAPOWADAP 6in LP4 Male to Serial ATA Power Adapter will be required.